Hello. 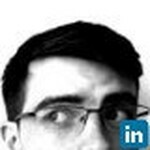 I’m Eoin, a freelance copywriter serving the UK, Ireland or wherever you need me. I’ve helped lots of businesses in lots of industries. You can see their reviews and my portfolio at www.oinkcopy.com. As my clients will tell you, I’m easy to work with and you’re guaranteed fair rates. So email eoin@oinkcopy.com now and let’s start boosting your profit asap. Words and ideas for hire. Join Today to follow and contact Eoin Alexander.